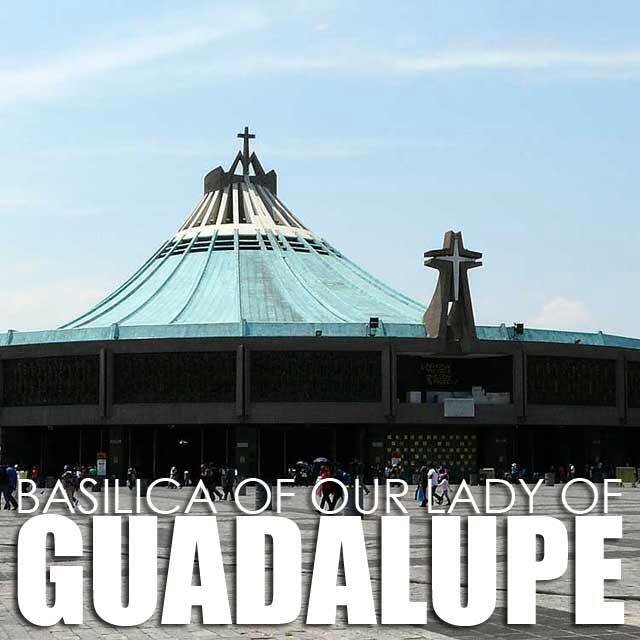 The Basilica of Our Lady of Guadalupe (Insigne y Nacional Basílica de Guadalupe) in Mexico City is one of the most significant pilgrimage sites of the Roman Catholic Church. 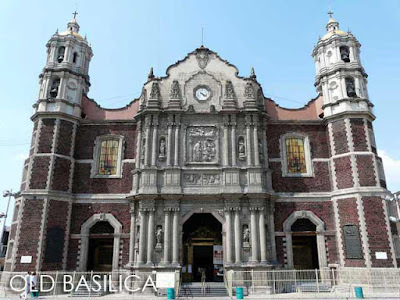 It is a complex of several churches, including an old and new basilica, built near the place Our Lady of Guadalupe is said to have appeared to San Juan Diego Cuauhtlatoatzin. 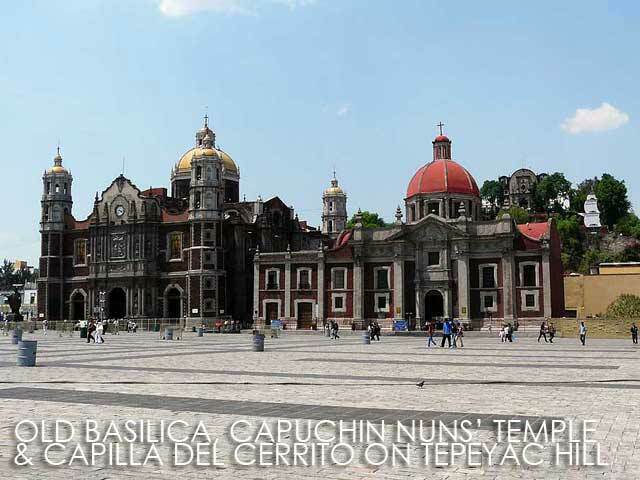 It's quite accessible via public transport since the La Villa-Basilica Metro Station is a few minutes walk from here. The Basilica de Nuestra Señora de Guadalupe Complex has several churches including the Old Basilica (Templo Expiatorio a Cristo Rey) and New Basilica which was completed in 1976 to replace the sinking Antigua Basilica, the Templo del Pocito, Ex-convento y Parroquia de Santa Maria de Guadalupe (Capuchinas) and the Capilla del Cerrito on top of Tepeyac Hill among others. I was particularly impressed with the Templo del Pocito with its very elegant interior and intricate carved stone and tile exterior. The Antigua Basilica is another well-preserved colonial period church. 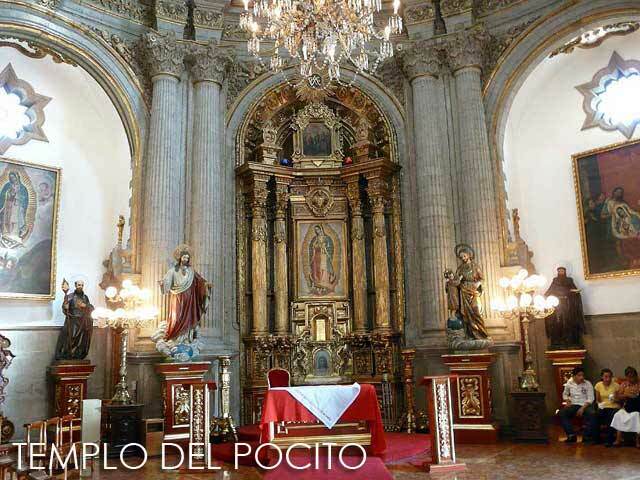 Juan Diego's cloak was venerated in this church from 1709 to 1974. Because it was built on weak ground, the city being a former lake, the church started to sink, which is very noticeable. It was closed for many years and has been reopened after repairs were completed. 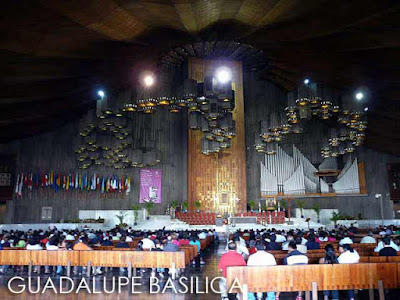 A New Basilica was designed by Pedro Ramírez Vázquez, the architect of the Aztec Stadium and the National Anthropology Museum, and built from 1974 to 1976. It is where the cloak is currently venerated and where most of the services are held. 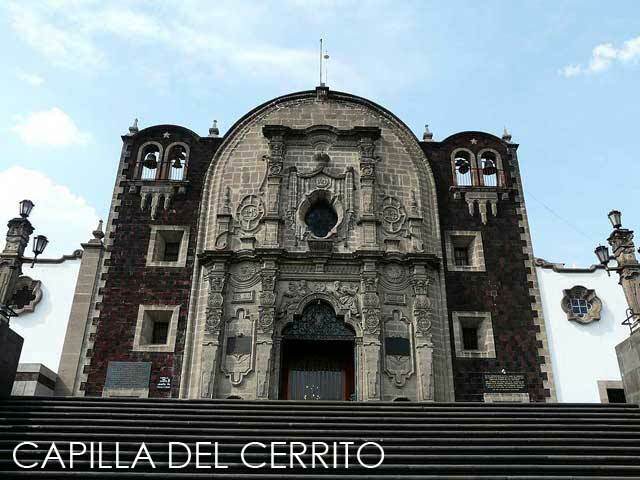 We climbed the steps up Tepeyac Hill to visit the Capilla del Cerrito, which has interesting mosaic murals. 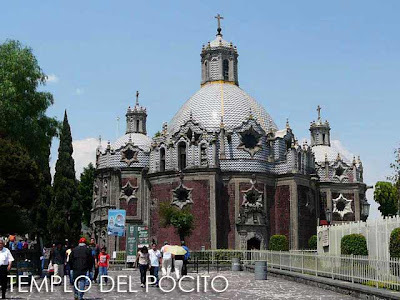 The hill also offers a panoramic view of Mexico City. 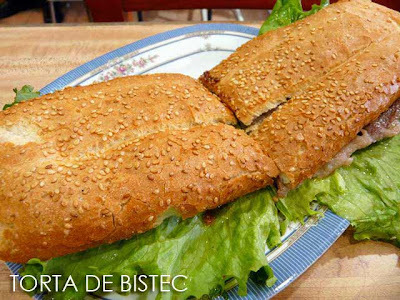 On the way back to the Metro station, we had dinner at local restaurant. Aside from the usual tacos and torta, I finally got to taste the Pollo con Mole Poblano, which is a chocolate-based sauce. 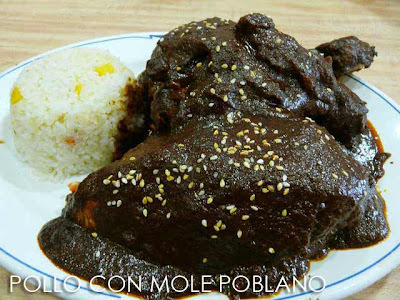 I would later taste other versions which had more chocolate and more on the bitter side. 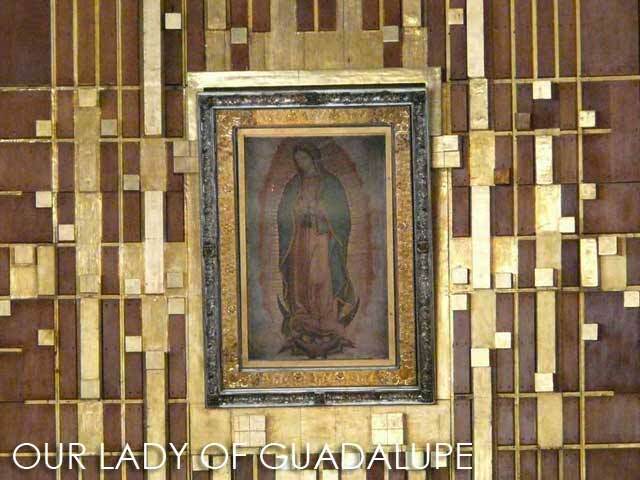 So the one I had in Guadalupe was my favorite. For more photos, check out Ivan About Town in Facebook. Hi Ivan. 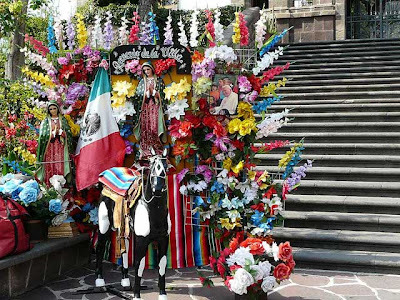 Thank you for posting your pilgrimage. 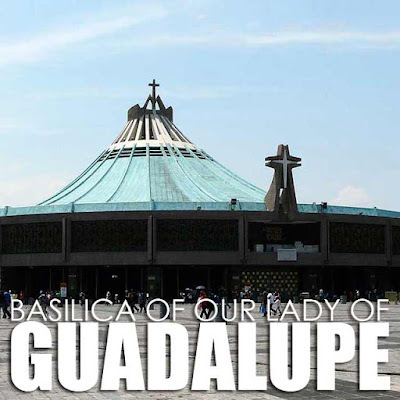 My maiden name is Guadalupe and we have Nuestra Senora de Guadalupe( not a picture though) which my father inherit from his father, and my grandfather from his father( not sure how many generation). SHE's passed on to the oldest son of the family. 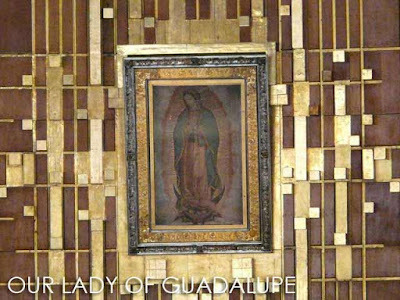 The Guadalupe clan come together for 9 days from the 4th of December with the big celebration on the 9th day which is the 12th. Once again, thank you.